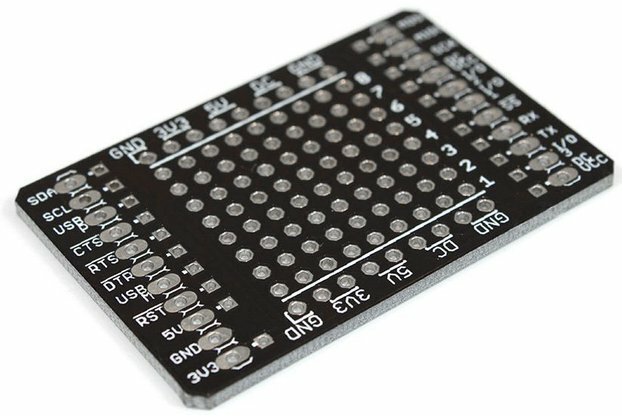 An Arduino compatible processor with selectable voltage, works with any breadboard and BoardX! 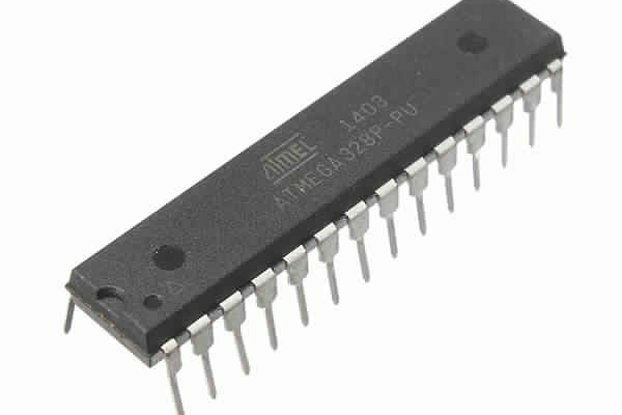 An Atmel ATMega328P (Arduino compatible) microcontroller running at 16 MHz and selectable voltage. 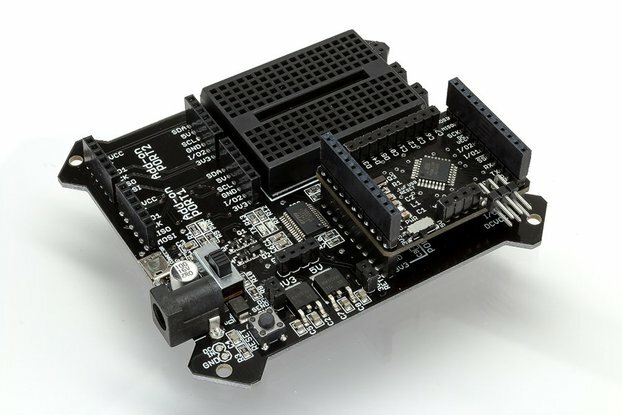 Atmel's line of powerful (but not power hungry) processors known as AVRs are now the defacto standard for hobbyists, students and engineers when searching for 8-bit processors. 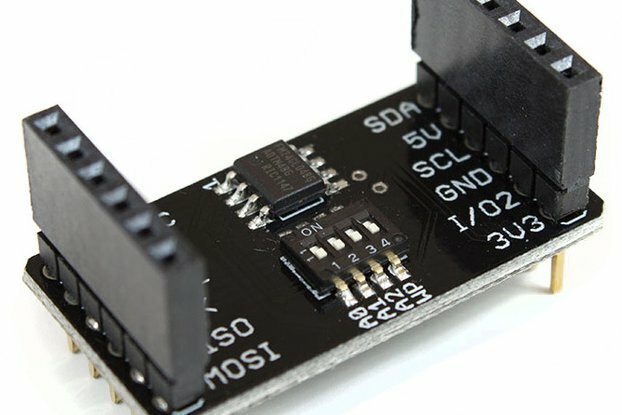 These RISC MCUs are packed with features that make them ideal for robotics, controls and embedded solutions. This particular AVR has been chosen to due it's popularity and large built-in peripheral set. 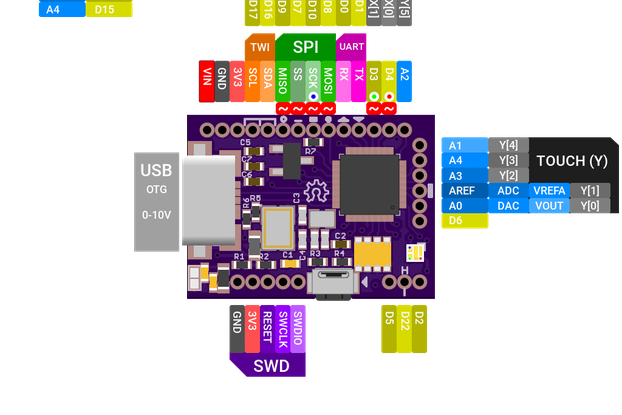 The board can be used by itself with a breadboard or as a an add-on in a BoardX system where I2C, SPI, and UART are automatically routed and connected to the other add-ons. 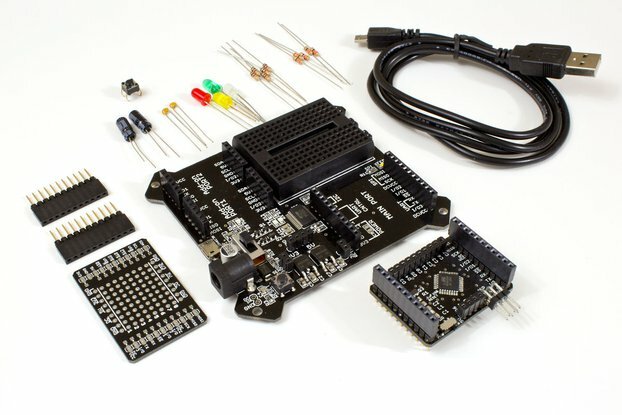 The reset button on BoardX Motherboard is connected to the processor's reset line, and the USB reset/programming feature allows you to use the Arduino SDK to program it. 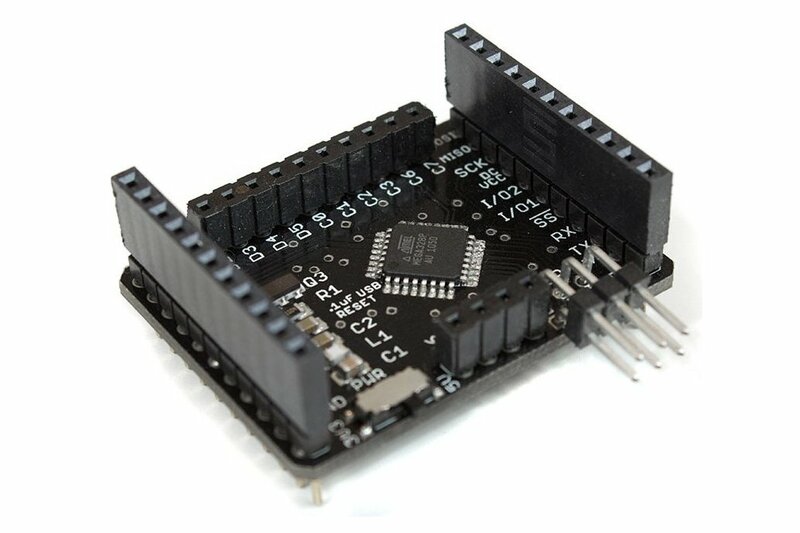 Use your AVR-X Processor Add-on with BoardX or any standard breadboard.